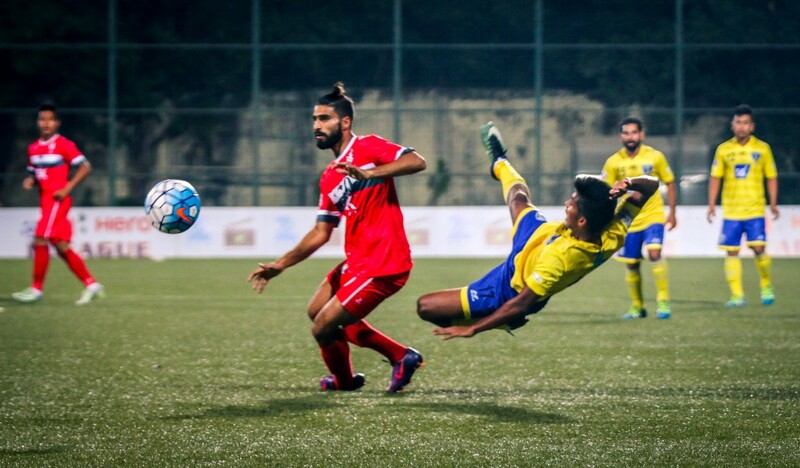 Mumbai FC management must foot the blame for the sorry state of the club. Here's why! If there was one name synonymous with Mumbai FC in the I-League era, it was that of former player and head coach Khalid Jamil. The Kuwait-born former India international played for the club from 2007-2009 before being appointed head coach of the team in 2009, a position he held for seven seasons, until this campaign. In his seven seasons, the tactician led Mumbai to 11th, 7th, 11th, 8th, 9th and back-to-back 6th placed finishes in the last two campaigns. No great shakes you think? Think again. In his spell on the sidelines, the former midfielder solidified the metropolis club as one of the top flight’s constants since their inception nearly a decade ago. They would also go on to become the league’s major representatives on the west coast, as other clubs in neighbouring Pune sprang up and shut shop with regularity. Fairly acceptable for a club that always ran on tight purse strings and was seen as a regional powerhouse at best. That said, there was the feeling in the backend of his days in Mumbai that the head coach had become a bit too comfortable in his job and that the club was stagnating. The seemingly unthinkable was being considered in Yellow Brigade circles in the last campaign. When looked at it in isolation, last season’s sixth place finish is deceiving. In truth, the Mumbaikars endured a campaign to forget, only avoiding relegation with a victory on the final day against regional rivals DSK Shivajians. It was a season akin to a rollercoaster ride that did little to fill anyone associated with the club with optimism for the future. So, the dye was cast for Jamil as the powers decided it was time for a change. Meanwhile, former coach Khalid Jamil has taken Aizawl FC to the top of the table this season. With no foreigners ever thought to be in the running, Mumbai FC management turned to the experienced, well-travelled journeyman in Santosh Kashyap, a choice that raised some eyebrows. Kashyap’s CV makes for interesting reading. In a career that has spanned seven years, he has been at some of the stalwarts of Indian football; including clubs like Mohun Bagan, ONGC, Air India and Salgaogar just to name a few. These are all former top flight clubs, except for the Mariners who of course are one of India’s giants and an ever-present in the I-League. It is noteworthy though that at any of these clubs, Kashyap failed to last more than a season, with many of them being relegated, while some others ended up shutting shop. Although the position of head coach remains fairly transitional in Indian football, Kashyap’s inability to gain a foothold at some of the country’s biggest clubs should not have passed through the due diligence in the Mumbai hierarchy. The series of changes didn’t stop with the manager, as Mumbai replenished almost their entire squad from the previous campaign, in the hope of a fresh start. However, some of their recruitment was suspect, to say the least. Among the key highlights was the decision to let go established names like Ashutosh Mehta, Jayesh Rane and young goalkeeper Albino Gomes. This not only robbed the team of integral talent but also of their core local players, who lent a unique identity to the team and had a special connection with the fans. These were just a few of the names reportedly deemed surplus to requirements by the new head coach. Add to this, the fact that the club took the best part of a month after the commencement of the season to assemble their final line-up of foreigners and you get the sense that Mumbai were always an unbalanced ship tilting to one side in choppy waters. That notwithstanding, the season started with much cheer and two quick wins at the start of the campaign (lucky victories), which led to some hope of better times. 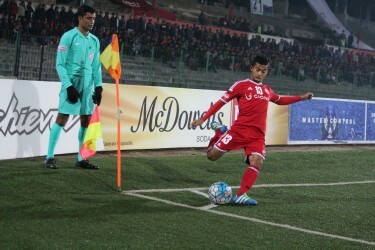 Kashyap promised a top three finish, which would have been a first in the club’s history. In the event, though, it was to be a false dawn. Since those two early successes, Mumbai have now have gone 12 games without a win and have scored just seven goals all season. Santosh Kashyap has fallen out with his team and its captain, Steven Dias. With no idea of where their next goal is coming from, let alone a win, Mumbai look primed for the drop. So, the question is, could the club’s top brass have done anything differently in the course of the season, to limit the damage from previous follies? Well, for one, there is the tried and tested formula of managerial change. Indeed, club’s like Churchill Brothers and Chennai City, two of Mumbai’s direct rivals in the relegation scrap have benefitted immensely from a change of head coach. After, just one win in their first 10 games, the Red Machines have now picked 10 points from their last four games under the experienced Derrick Pereira. How the Goan did not make Mumbai’s shortlist to replace Jamil at the start of the campaign is a mystery in itself. Chennai too, seems to have discovered a certain resilience and killer instinct under the tutelage of veteran tactician Soundarajan as seen in their come-from-behind win against East Bengal at the weekend. A few weeks ago Khel Now reported exclusively that Mumbai had released three players, including club captain Steven Dias. It was believed the players, also consisting of defenders Allan Dias and Pratik Chaudhari, were let go because Kashyap wasn’t pleased with their performance in training or their contribution during the season. Be that as it may, it was clear the ad-hoc move led to upheaval in the squad as team morale hit rock bottom. It was even more baffling as the coach had named the players 'his own children' at the beginning of the season. With a little under half the season yet to play, that was the opportunity for the Mumbai management to nip the problems in the bud and start afresh under a new manager. In the event, they decided to side, not with the players, those tasked with producing results on the pitch, but with Kashyap, whose judgement had been proven to be questionable. Expectedly, the problem aggravated Mumbai’s plight, as evidenced by the 5-0 thumping they suffered at the hands DSK Shivajians in the Maha Derby on Saturday. 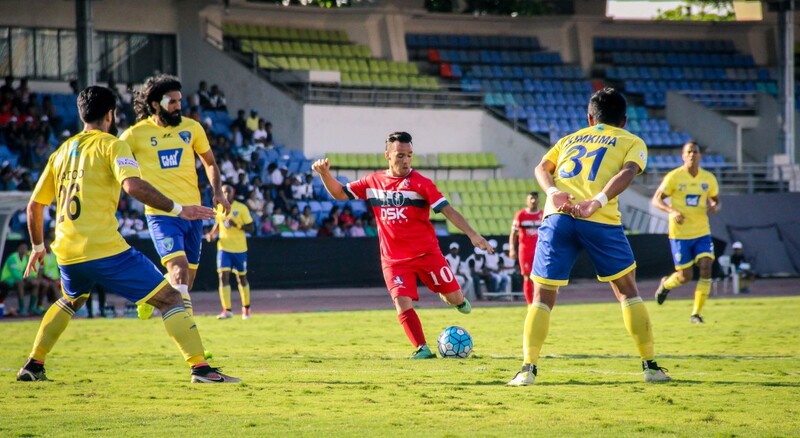 DSK Shivajians blanked out Mumbai FC 5-0 in a recent I-league encounter. 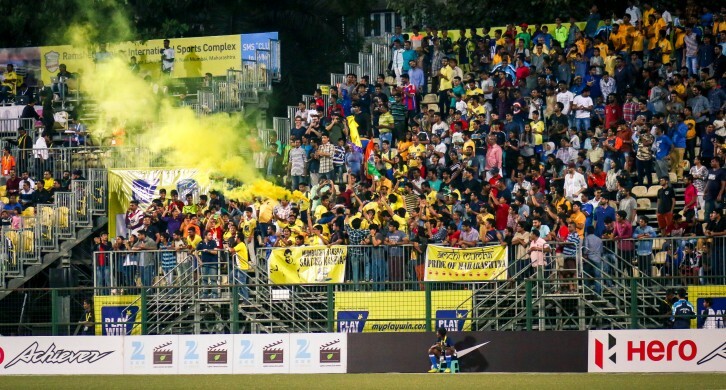 Mumbai have a small but fiercely passionate and loyal group of fans known as the Yellow Brigade. They spare no expense to follow them home or away and have stood by the club through thick and thin. The manager has been the subject of their angst for a while now and although he has been gracious in commenting on the fans’ criticism of him until now, Kashyap’s patience finally told after the defeat in Pune. “They are all from educated families, so they disrespecting their parents, their upbringing was wrong, that's why they are abusing me. They need to understand to respect everyone in this field; I too am trying my best,” retorted the 50-year old as he slammed his own fans for their abuse towards him. A special mention must be made of the West Block Blues, fan base of Bengaluru FC, who lent their voice and support over the social media for the Yellow Brigade. While it may have been a reaction borne out of weeks of frustration, the fact that Kashyap had the temerity to question the upbringing of his own fans on the back of a performance, the kind of which they delivered against Shivajians, has not done his already battered image any favour. For, whatever the merits and demerits of Jamil’s tenure, he always enjoyed the absolute confidence of the fans. The team has looked bereft of ideas on the pitch and Santosh Kashyap hasn't been able to change that. So, where do Mumbai go from here? While a broader post-mortem of their season can take place at another time, what they need now is a quick fix that can lead them to survival. Is there enough time for a new manager to make an instant impact? Probably. At any rate, it may amount to barking at the wrong tree. 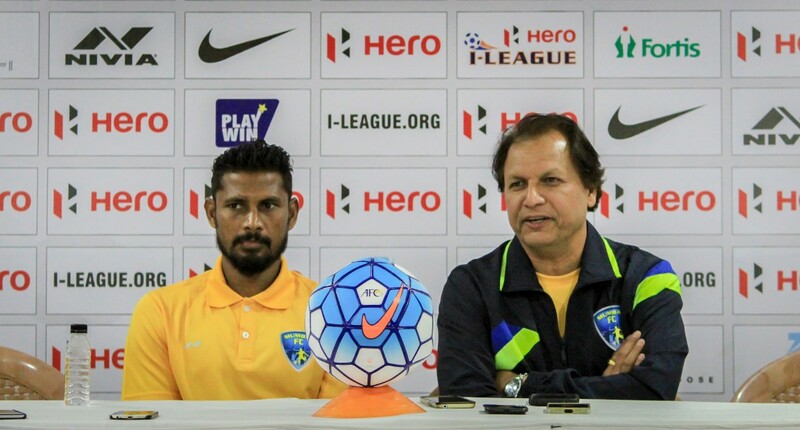 For, all indications are that Kashyap continues to retain the confidence of the powers that be at Mumbai FC. Surprising for a man of his dubious track record and it is true to say that a lot of water that has flown under the bridge this season already. One thing that could be in favour of the metropolis club is that all their remaining games are in the relative comforts of Cooperage. But, so woeful have Mumbai been this season, that it would be unfaithful to speak of home advantage in this context. If Mumbai are to be relegated though, the nation’s top flight will be poorer not only for them but more so for their passionate fans.